Please note: item may differ slightly from image shown. 3M Healthcare offers a full line of quality monitoring and defibrillation products. When the patient being monitored is a tiny infant, high quality and comfort are even more important in selecting the right electrode. 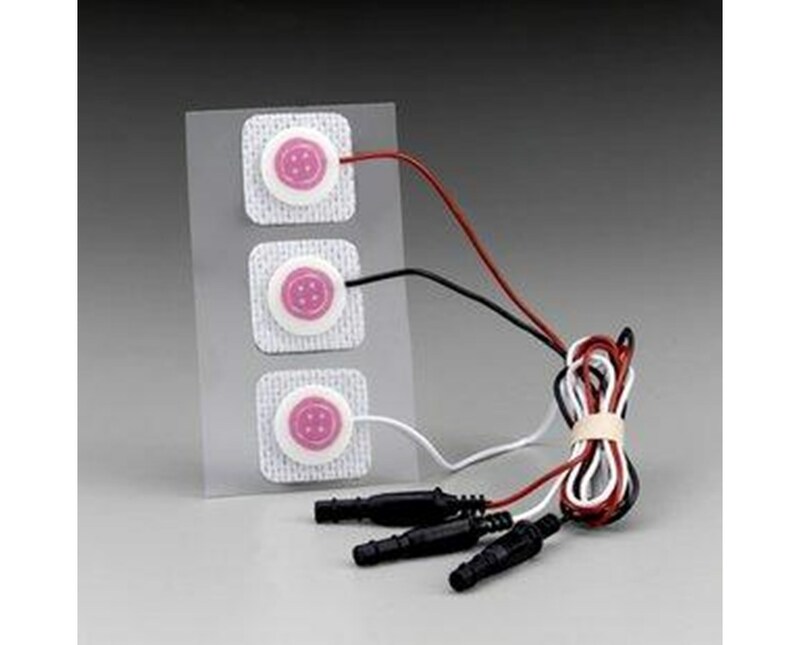 3M'sRed Dot Pre-Wired Radiolucent Neonatal Monitoring Electrodesfeature soft, breathable cloth to protect infants' delicate skin, while their secure adhesive is gentle and leaves minimal residue for ultimate comfort and reduced skin irritation. The electrodes are recommended for use in pediatric and neonatal ICUs (including special care nurseries and Level III NICUs) and are radiolucent for undetected use in radiology. 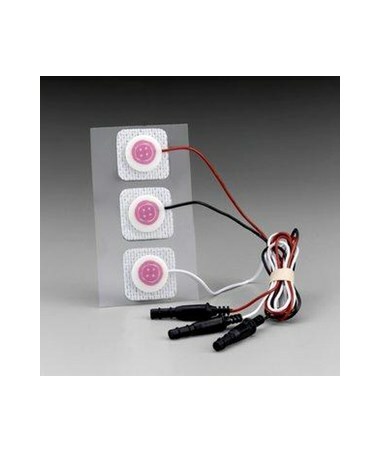 For extra convenience and optimal trace quality, the electrodes are pre-wired with secure, long-lasting integrated leadwires, virtually eliminating leadwire disconnections. The electrodes are available with two leadwire lengths. Choose from 18" leadwire or 26" leadwire from the drop-down menu in the upper right corner of this page, then click "add to cart" for hassle-free ordering at the lowest price!